Happy Canadian Thanksgiving. I did not get to quilt today, so much to do with family and food. 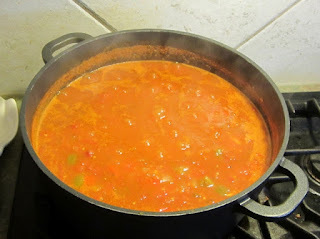 I have made tomato sauce with fresh garden tomatoes. The family eat Turkey but I can't eat it. So I make something else for dinner for me. I hope to get a little sewing in holiday Monday. Hope you have all had a good weekend.